Using repurposed and reclaimed construction materials has gone beyond ecological propriety and become high style. Just take a look at the spaces crafted by London-based designer Fiona Barratt-Campbell, who weaves reclaimed wood into contemporary interiors with striking ease. At the Lodge, a ski chalet in Switzerland, weathered wall panels give the space a cave-like warmth. At a house in Harrogate, a patio table and lounge chairs crafted from railroad ties have a cool, post-industrial sensibility. And at an indoor swimming pool in France, twisting black tree trunks have the presence of expressionist sculptures. Last month the third annual NoHo Design District Festival filled the downtown stretch between Bowery and Broadway with events and installations from both established and emerging talents. NoHo, with its long-standing reputation as an artists’ community, was the perfect atmosphere for the edgy, collaborative experience NDD organizers had in mind. FABnyc, a program aimed at reinvigorating public spaces, asked visitors to reconsider the sidewalk beneath their feet with “Music Machine” by multidisciplinary artist Sonni. Bringing life to the otherwise dim alleyway behind the former CBGB was Sonni’s sidewalk mural of bright, primary-colored cartoon illustrations. A designer from Baggu was on hand to paint the pop-inspired brand’s grapefruit, mint, or citron-colored leather pouches with emoticons on the spot. On the second floor patio of the Standard, East Village Hotel, visitors found shelter from the sun inside designer Mat Gagnon’s “Knit Fort,” a flexible, multi-dimensional structure of woven wood and rubber cord that can be expanded and shaped according to one’s needs. Just a few weeks ago, Dutch designer Dirk Vander Kooij presented the latest iteration of his graduation project, Endless Flow, at Milan Design Week. His furniture, a collection of ergonomic, hollowed-out chairs and tables all made of the same candy-colored ribbed plastic, appears minimal but thoughtful, designed with the human body in mind. But the Endless process is really a globally-minded step towards sustainability. 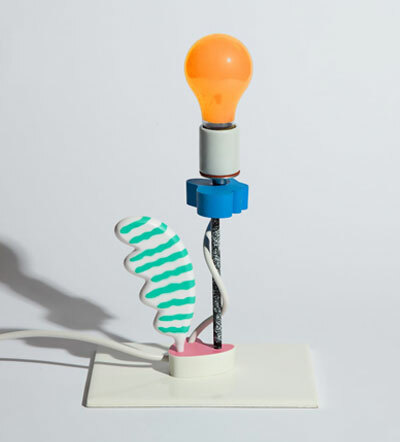 Vander Kooij employs a repurposed industrial machine to three-dimensionally print each chair, table, and lamp one by one, squeezing out a thin string of liquid plastic in layers like a soft-serve machine. Every piece is made of a single, coiled, “endless” string. The practical benefits of the Endless process are many: there’s no casting mold involved, so there’s no discarded material. The chairs are made one at a time, so mistakes aren’t replicated across batches. And perhaps most importantly, the method uses 100% recycled plastic (Vander Kooij’s preferred medium is used refrigerator interiors). 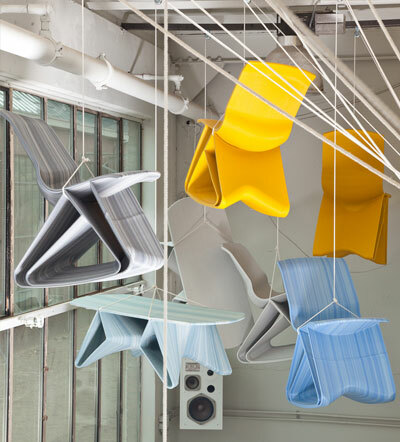 But from a designer’s point of view, the grace note of Endless Flow is that it allows the printer to watch a piece of furniture coming into existence, and to tweak it even as it is being created. Material waste is, after all, the product of a misplaced idea – Vander Kooij aims to cut down on intellectual waste as well. RENDERING RED Voiture Minimum, 1936, by Le Corbusier and Pierre Jeanneret. Virtual reconstruction by Antonio Amado Lorenzo. Like movie stars who really want to direct, there were modern architects who really wanted to design cars. For early twentieth-century designers the automobile was much more than a vehicle; it was a powerful symbol of mobility, technology and progress. Walter Gropius and Adolf Loos both designed automobiles, and Le Corbusier’s design for a car called Voiture Minimum is documented in a new book of the same name. The narrative is less about the technicalities of automotive design, though, than about the great architect’s ambitions to build a car that embodied the ideas about space and form expressed so powerfully in his buildings. 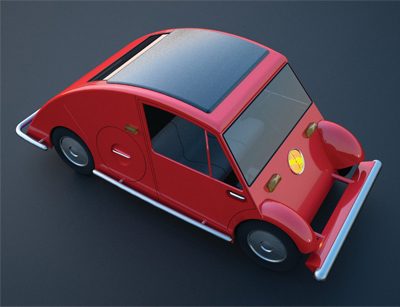 Le Corbusier designed Voiture Minimum with his cousin, architect Pierre Jeanneret, in 1936 as an entry to a competition sponsored by the French car manufacturer’s consortium SIA (Societe des Ingenieurs de l’Automobile). The competition guidelines didn’t govern style, but only specified the vehicle’s exterior dimensions, motor power, and retail price. Le Corbusier and Jeanneret put a great deal of effort into their design and, after it was submitted to SIA, approached different manufacturers and engineers to help put the model into production. While Le Corbusier built hundreds of structures throughout the world during his lifetime, he wasn’t able to build this car. All that remain of the project are pencil sketches and technical drawings, which historians have used to construct physical and computer models. 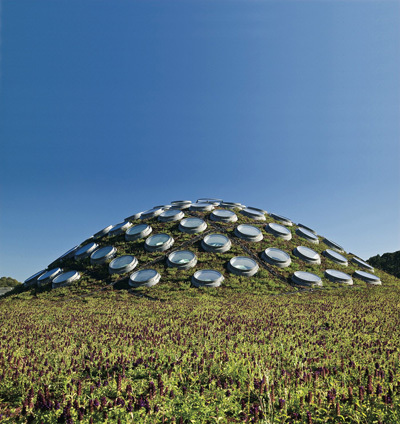 Green roof at California Academy of Sciences, San Francisco, California. By SWA Group. What’s striking about these new landscapes is how informal so many of them seem. Are these gardens, or patches of undisturbed wildlife? The truth is that even the most carefree-feeling new gardens are painstakingly orchestrated, created by landscape designers with a deep knowledge of plant types, climate and geology. Good Weather, an exhibit of Berlin-based artist Sarah Illenberger’s photographs at Gelstalten Space through September 11th, is an exercise in dissonance. A simple light bulb, upon a moment’s inspection, turns out to be a pear. A minimalist pair of headphones suddenly reveals itself to be made of two cupcake wrappers strung together. Straightforward in composition, lighting, and sly good nature, an Illenberger still life is lovingly handcrafted to wreak havoc on the viewer’s expectations every time. 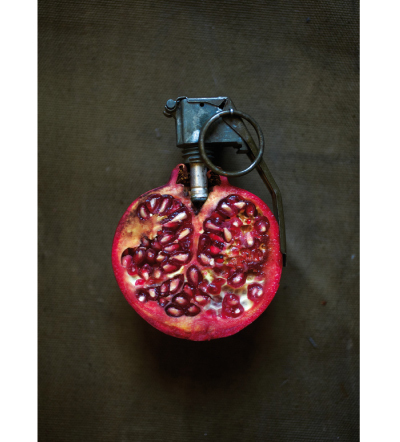 A halved pomegranate, with only a bit of metal stuck at the top, becomes an instantly recognizable hand grenade—but hasn’t the meat’s rich color, the glisten on the seeds, the plain bloodiness of a pomegranate always spoken to your subconscious of violence? And if it didn’t, won’t it now? The joke in the photos isn’t that you’re seeing a trick object; it’s that you’re seeing two opposing images at once, and neither will yield. Illenberger spoke to PLANET about bringing her contradictions to a gallery space—right down to the name of the show. 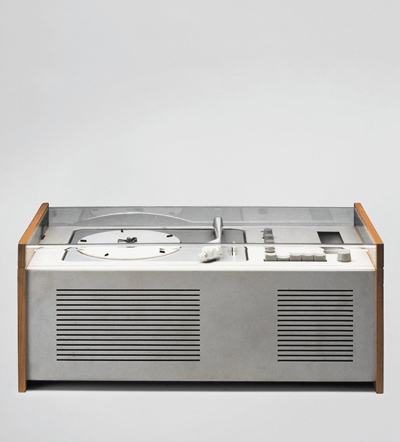 SK4 record player, designed by Dieter Rams and Hans Gugelot, courtesy of Dieter Rams. Can you remember the first time you picked up an iPod, and how stunning it was to feel the seamlessness of its surfaces, the subtlety of its controls, and the weight of it in your hands? Those qualities, so perfect, are the work of a team of ace product designers at Apple led by Jonathan Ive. It’s no wonder then that Ive wrote the introduction to “Dieter Rams: As Little Design as Possible,” a new book about this other, legendary product designer who headed the design department at Braun from 1955 to 1980. Rams’ canonical designs for the German appliance company, Ive says, have inspired many Apple products. The transistor, alarm clocks, record players, cigarette lighters, and other small machines Rams and his team designed are seductive in their simplicity, their modernity, and their naturalism. While each is as finely-composed as an abstract sculpture there is also something, as Ive says, “inevitable” about its design. You feel as if it could not have been designed any other way. Not all summer blockbuster sequels are created equally. One of the most anticipated popcorn films this season happens to be a low-budget documentary. It has no special effects, unless you count driving to work without a drop of gasoline, and the only superheroes to be found are the ones tinkering in garages or design labs. 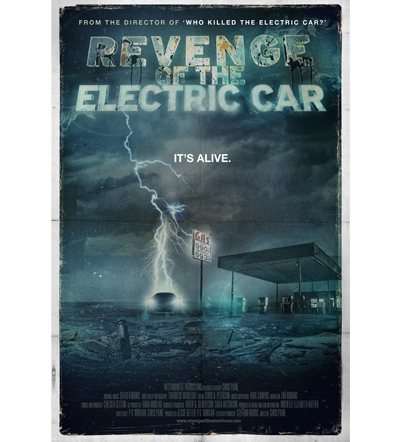 Thankfully, nothing explodes in “Revenge of the Electric Car” though the movie arrives in theaters just as an electric-powered boom may at long last be upon us. The film’s director, Chris Paine tells PLANET that six years after revealing the story of General Motors’s decision to recall the EV1 in the whodunit “Who Killed the Electric Car?” he welcomed the chance to chronicle the auto industry’s redemptive change of heart regarding the electric vehicle. “I saw this as a rare opportunity as a storyteller to chart a big reversal in an industry where they went from actively trying to kill it to reviving it and even championing it,” the director says, speaking of the variety of cars that are charged overnight through a wall outlet. The long-term prognosis for these electrics looks a lot better now than it did in 2005 at the time of the first film’s release. That’s thanks largely to the changing conditions that drivers are facing, all of which point to the need for an alternative to the gas-powered vehicle. I once saw a photo of Yves Saint-Laurent’s living room, and its cluttered opulence looked positively oppressing. Years later I discovered the Japanese aesthetic of wabi-sabi, and I found its regard for simplicity, sparseness, and the natural cycle of life refreshing. Wabi-sabi is lived-in beauty found in imperfection, the decay of all things, and the transience of all being, natural and unnatural. It prizes cracks in old vases, uneven texture of the ancient walls, and the withering of trees. It acknowledges the slow but intractable march of time, and in accepting it finds tranquility. Breathe in. Breathe out. Like other things Eastern, and therefore exotic, wabi-sabi has often been bastardized by interior designers and their wealthy clientele. Axel Vervoordt, a Belgian art and antiques collector, could surely qualify as an impostor, but in his new book Wabi Inspirations ($65, Flammarion), he is careful to point out the sincerity of his interest in the unadorned and unassuming beauty of wabi-sabi (or simply wabi). The effort does indeed seem genuine and the gorgeous book is an important photographic document, since, despite wabi-sabi’s popularity, there is a dearth of its visual representation. The 255-page volume is a tour of properties redesigned by Vervoordt in the wabi spirit, often with the help of the Japanese-Belgian architect Tatsuro Miki. 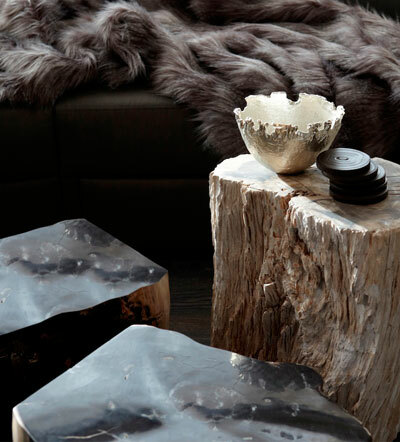 With their soft light and sparse interiors these spaces become sanctuaries. But it is the vividness of textures that really makes you want to run your hand over the photographs. Or just live in them. This Earth Day, after a year that has seen an unprecedented oil spill, devastating natural disasters, and an ongoing nuclear crisis, it’s a good time for some positive news about the environment. Those looking to counterbalance the fatalistic stories that have dominated the headlines with a few reasons to feel more optimistic about the future sustainability of life on the planet will be happy to find scores of promising items in My Green City: Back to Nature with Attitude and Style, edited by Robert Klanten, Sven Ehmann, and Kitty Bolhöfer. 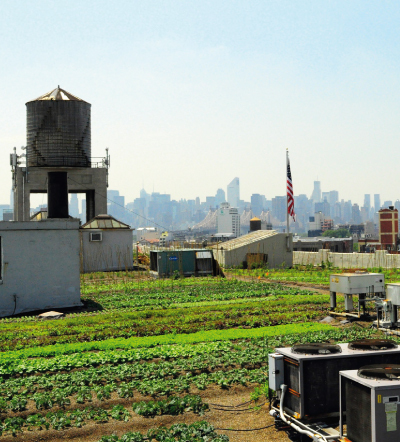 The newly published book is an illustrated guide to a number of the design trends that are guiding the global movement toward the greening of our urban spaces. Individually, none of the small developments will likely make the lead story on the evening news. But like stubborn weeds peaking through the cracks in the pavement, they are slowly gaining ground in cities everywhere and supplying evidence that the metropolitan centers of the future will be more unrefined and far wilder than the stark grids of steel and cement previously envisioned.